Social Graces LLC is noted for their wedding invitations.Your wedding invitation sets the tone for your wedding day. If you like over the top service, Social Graces, LLC is the one for you. Our consultant will be with you throughout the process. We don't just hand you a piece of paper and tell you to fill it out. We will explain the differences between invitations and how to word them and will sit down with you and write down different versions of the wording until it is perfect. Sometimes this might take awhile, but we are more than happy to do this for you. Social Graces, LLC will also show you how to stay within your budget. We carry many books of wedding and party invitations. We will help you word your invitation and will spend as much time with you as needed. 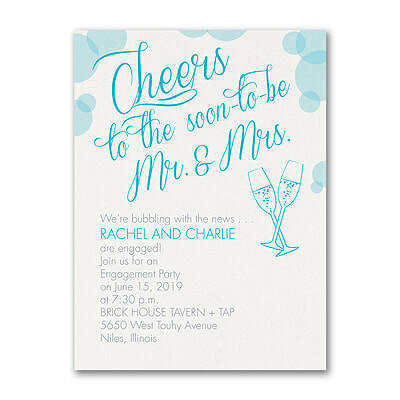 Why take a chance when ordering your invitations online or in a large store where you have to do everything yourself. Who will tell you if you left something out or if you used the proper etiquette. At Social Graces we are always here to help you and you may call us at anytime with any questions you may have. You will always get the same person to answer your questions. Even after the sale Social Graces will be here for you. Many of our brides turn to us to answer any questions that they may have about their wedding plans and this is free of charge. If you are far from our office and you prefer to order your invitations over the Internet you may also do that. We will be glad to walk you through it by phone or email, step by step and help you with the wording. Call today (973)543-2145 for an appointment. We are located in Mendham, New Jersey, six miles west of Morristown. New Jersey. We have been in business for over 30 years.